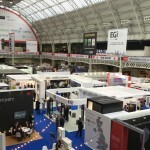 From 18th to 19th October we will be exhibiting at MIPIM UK, the place to be for commercial property owners and developers..
With two intensive days of conferences, exhibitions and networking events, MIPIM UK provides a marketplace for international and local investors, developers, occupiers and property professionals to meet, discuss opportunities and do business. On Tuesday 26th and Wednesday 27th September we will be presenting a free industry-leading seminar at DCE Roofing Updates in Edinburgh and Glasgow, exploring renewable energy technologies that can be integrated into steel roof and wall cladding. If you are a construction professional operating in Scotland’s Central Belt, then these seminars are for you. It is not too late to register for this free event, which provides an opportunity to meet industry experts, network with fellow professionals and view up to five relevant construction presentations. Free lunch, refreshments and CPD certificates are available to all delegates. It’s likely that many people will be enjoying the Great British Bank Holiday on Monday and all of us at Euroclad will be happy to join them. We will be closed all day on Monday 28th August and will reopen as usual on Tuesday 29th August. For those of you that are looking forward to a long weekend, we hope the forecast for good weather proves to be accurate and look forward to catching up on Tuesday. Sustainability is at the very heart of Euroclad’s manufacturing and is critical to key Supply Chain Partnerships. Euroclad endorses the sustainable credentials of Colorcoat® pre-finished steel and it’s BES6001 responsible sourcing certification, which is a core element of Elite Systems. Colorcoat HPS200 Ultra® and Colorcoat Prisma® pre-finished steel are both manufactured by Tata Steel at their Shotton site in North Wales, surrounded by the Dee Estuary. The site balances industrial manufacturing with the environment and is home to open natural spaces and various wildlife species such as pond life, Terns and Canada Geese. For World Environment day on the 5th of June, staff at Shotton will be celebrating by “Connecting People with Nature” through a series of educational walks through the diverse environments, as well as guided tours of the Tern Lagoons – which is officially a Site of Special Scientific Interest. World Environment Day is the United Nations’ most important day for encouraging worldwide awareness and action for the protection of our environment. Since it began in 1974, it has grown to become a global platform for public outreach that is widely celebrated in over 100 countries. Above all, World Environment Day is the ‘people’s day’ for doing something to take care of the Earth or become an agent of change. That ‘something’ can be focused locally, nationally or globally; it can be a solo action or involve a crowd – everyone is free to choose. Each World Environment Day is organized around a theme that focuses attention on a particularly pressing environmental concern. The theme for 2017 is connecting people to nature. Every World Environment Day has a different global host country, where the official celebrations take place. The focus on the host country helps highlight the environmental challenges it faces, and supports the effort to address them. This year’s host is Canada. Safety Schemes in Procurement (SSIP) is an initiative that puts safety at the heart of procurement. Supported by the HSE, SSIP aims to streamline prequalification and drive unnecessary cost and confusion out of supplier health and safety assessment. We have recently enhanced our Occupational Health and Safety Management System, which complies with the requirements of BS OHSAS 18001:2007, to include SSIP, providing greater convenience and transparency for our entire supply chain. 35th Anniversary – what a year! 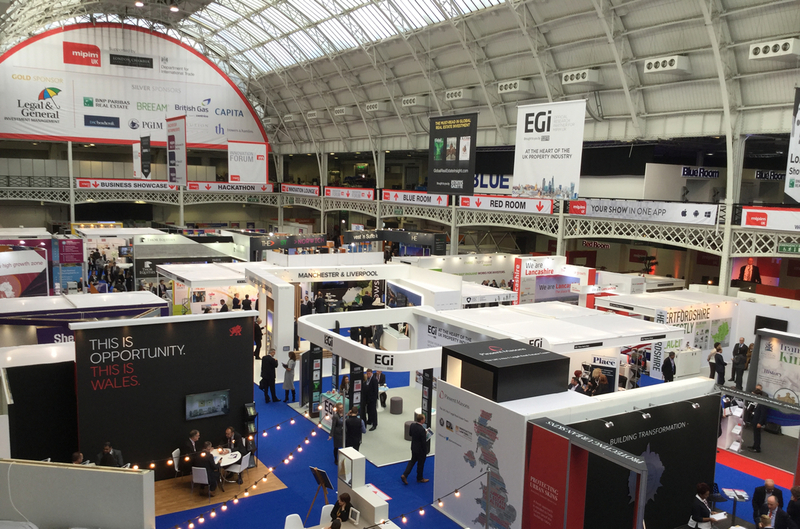 2016 was a really great year for the construction industry and for Euroclad. In a year of tumultuous politics, the construction industry has stood firm and in December enjoyed the fastest growth in new orders in almost a year. Sources: The Guardian, The FT, Department for Communities and Local Government, ONS. 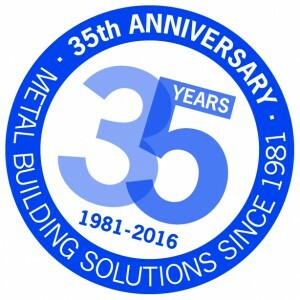 As a business we celebrated our 35th Anniversary in 2016 and enjoyed a great year, with new faces throughout the company providing added impetus across all functions. Some of the completed projects from 2016 that featured Euroclad and/or Booth Muirie products were staggering in their beauty/size/function (delete as appropriate). A big thanks to all of our customers and supply chain partners. Your success is our success, so let’s make 2017 an even better year. We would like to wish Vince Griffin all the very best in his retirement, after three decades operating rollforming machines at our Cardiff manufacturing facilities. 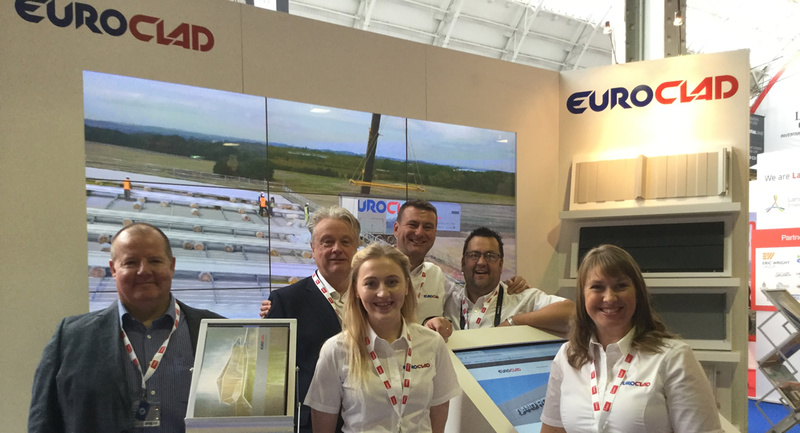 Over that last 29 years Vince has been one of the unsung heroes behind the consistent, reliable supply of Euroclad products. 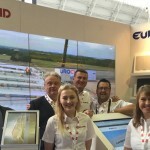 Vince’s long service has given him a breadth of knowledge and experience that has benefitted Euroclad’s manufacturing function significantly. He plans on using his newfound time in retirement to enjoy more fishing and learn how to speak Welsh. All the best Vince and thanks for your many of years of hard work. The office will be open until Wednesday 21st December, which will also be the final delivery date available in 2016. The office will then reopen on Tuesday 3rd January 2017, with deliveries recommencing on Wednesday 4th January. If you have any critical deliveries required close to the Christmas and New Year shutdown period, please contact the sales office at your earliest possible opportunity.